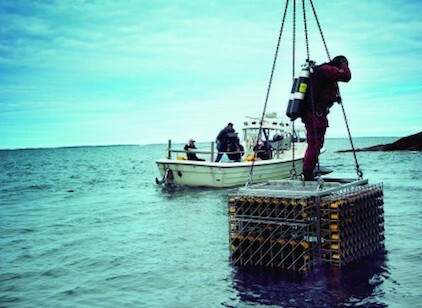 In 2010, divers discovered 168 bottles of Champagne laying at the bottom of the Baltic Sea; the cargo of a ship wrecked off the coast of Finland. Estimated to have lain there for 170 years, it was an unprecedented haul, including Champagnes produced by Heidsieck & Co., Veuve Clicquot Ponsardin and Champagne Juglar (now Champagne Jacquesson). While the labels were long gone, engravings on the corks helped identify and trace the bottles to their makers and whilst nearly half of the 168 bottles had leaked, the rest are still perfectly drinkable and now that samples have been tasted by ‘experts’, we finally have details on just how drinkable they are. When Philippe Jeandet, a biochemist at the University of Reims, sampled what is probably the oldest champagne ever tasted, he was allowed just one droplet squirted from a micro syringe. However, his analysis of this sample suggests that the cool, dark ocean might make an ideal storage cellar. 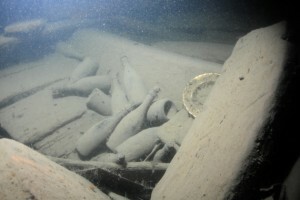 According to Jeandet, the small sample shows that the seabed preserved the Champagnes ‘intrinsic features’ surprisingly well, and offers clues about nineteenth-century winemaking practices. 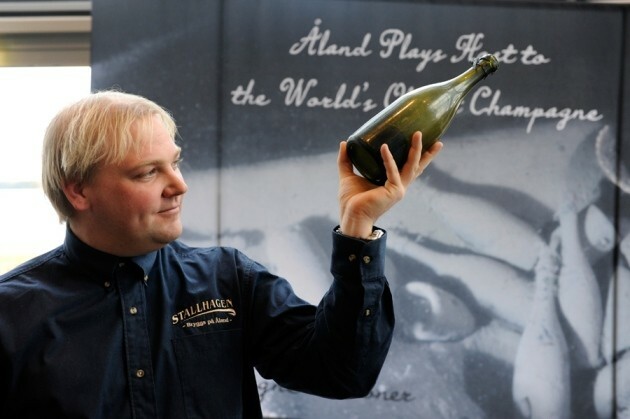 Chemical analysis revealed the main difference between the shipwrecked bottles and modern Champagne was the sugar content, which was a staggering 150g per litre (compared to the 6g to 10g per litre that we are accustomed to today), but they were also less alcoholic (around 9.5% compared to today’s 12%). This sweetness, which may have come from grape syrup that was added before corking, may also offer clues as to the Champagne’s intended destination. Ever since the bottles – dating from between 1825 and 1830 – were discovered, many have surmised that the shipment was headed for Russia, due to the location of the find. However, given that we know the Russian market had a preference for extremely sweet wine (sometimes with a sugar content of more than 300g per litre), the now relatively low content of 150g per litre found here, suggests it was destined for customers in the Germanic Confederation. Jeandet proposed that the conditions of near darkness and a constant temperature of 2-4°C, are responsible for the preservation of its aromas and taste, begging the question – is there a future for marine environments with still waters at stable temperatures to operate as wine cellars? Well, Veuve Clicquot think it merits studying at least. In June 2014, Veuve sank 300 bottles and 50 magnums of Champagne (pictured below) near to where the shipwreck was discovered. Naming the underwater cellar the Åland Vault, they filled it with Veuve Clicquot Yellow Label (bottles and magnums), Vintage Rosé 2004 and demi-sec wines. As part of a 50-year aging experiment, the Champagnes are resting 40 metres below the surface (to prevent seaweed attaching itself to the bottles and to avoid an iodine taste appearing in the wines) and are being monitored by cellar masters who are also watching over duplicates of the selected wines at the maison’s chalk cellars in Reims. The house plans to taste the Champagne every three years, comparing it to those stored at the maison, to assess how the different pressures, temperatures, and oxygen levels change the wine. For now, we’re happy with our temperature controlled EuroCave, but this is certainly exciting research for the future. Although the idea of diving into the Baltic Sea for a stock check doesn’t sound very appealing.